WCS has been a global leader in the conservation of Asia's magnificent wild mountain sheep and goats since WCS Senior Scientist Dr. George Schaller described them as "Mountain Monarchs" in the book about his seminal research work from the 1970s. 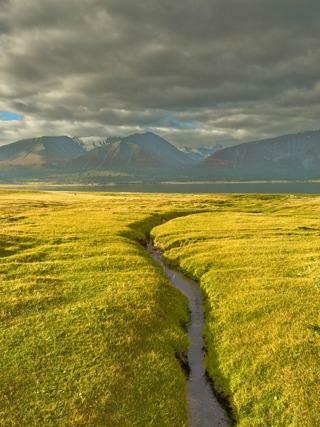 The Mountain Monarchs are endemic to – and thus help define – the huge mountain ranges of Asia, including the Himalayas, Karakorams, Hindu Kush, Pamirs, Tien Shans, and Altais. The majestic argali, the largest wild mountain sheep in the world that lives in the highest, most barren plateaus. The urial, a medium-sized wild sheep with large sickle-shaped horns found at lower elevations than the argali. 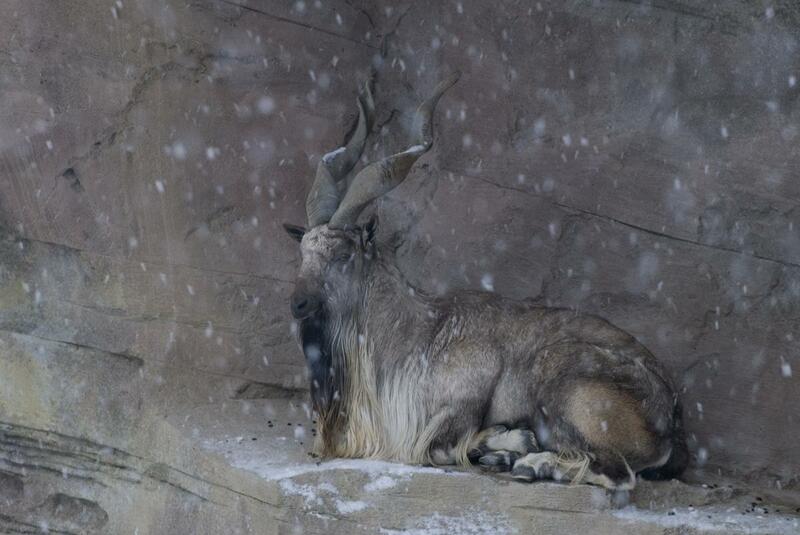 The markhor, a giant goat with enormous, corkscrew horns and superb climbing ability that allows it to scale cliffs and even oak trees to feed. The ibex, a large, muscular goat with long, scimitar-shaped horns that lives on the highest, craggy peaks. The Mountain Monarchs of Asia's great peaks face a number of threats. Hunting for meat and sport (including poorly managed trophy hunting programs) are a serious threat. For migratory argali, border fences are a significant barrier to movement. Livestock disturbance, competition, and even disease transmission are increasingly an issue for all of these species. WCS continues to lead the way in conservation of these spectacular large mammals in many countries across the region. WCS now partners with 65 communities in Pakistan to protect markhor, reaching over 400,000 villagers, and trains and deploys over 100 community rangers to monitor and protect markhor. Our conservation governance work with communities and government agencies has resulted in a stunning reversal in the decline of markhor. In Afghanistan, WCS field surveys confirmed the presence of markhor in the country (in two different districts) for the first time since the 1970s. WCS has conducted an awareness campaign illustrating the ecological, economic, and cultural values of markhor for the local communities and for the region. In Afghanistan, WCS has performed research on barriers to argali movement, gene flow, and livestock disease interactions, trained and deployed community rangers to monitor argali and ibex and enforce anti-poaching regulations, developed livestock management options, and helped design and create Wakhan National Park to protect these species. WCS field staff in both Pakistan and Afghanistan have discovered previously unknown populations of urial and are working to monitor and ensure their protection. In Iran, WCS is helping the Iranian Department of the Environment develop strategies to monitor and protect urial, which is also the main prey for the last remaining Asiatic cheetahs. WCS community conservation work in Gilgit-Baltistan, Pakistan has seen the previously rapidly declining markhor population increase by 70% in a little more than a decade. This helped lead to the markhor’s down-listing by IUCN in 2014 from Endangered all the way to Near Threatened. 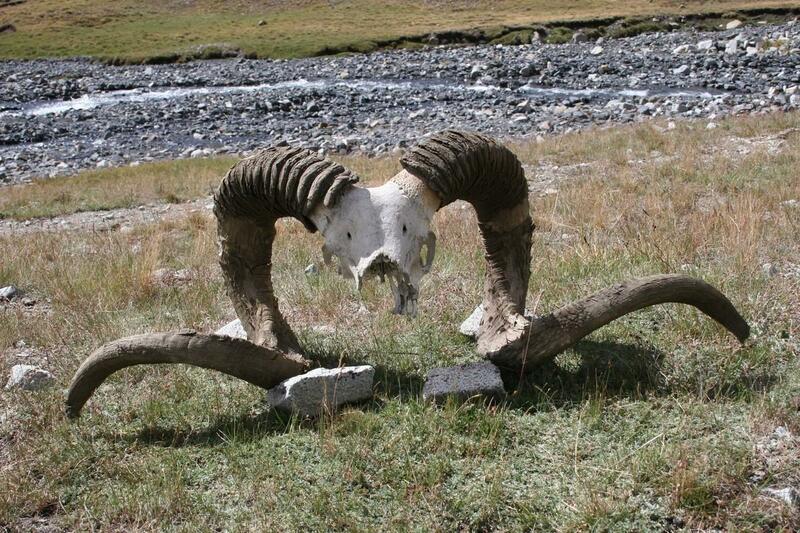 The Marco Polo sheep is the largest subspecies of the argali, which is the largest wild sheep in the world. A large male may have curling horns that reach six feet just from tip to tip. WCS works on Marco Polo sheep conservation in Afghanistan and Pakistan.